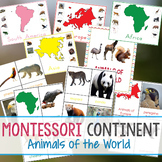 A set of 3 Part Cards of all 7 continents that correspond with the Montessori World Puzzle Map. 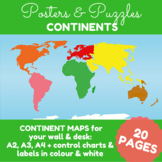 *Included is also a free set of small Continent Labels that can be used with the map. 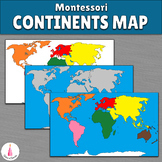 Montessori classrooms have specific colors for each continent. 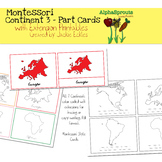 I have created an artsy, watercolor version of the continents for printing and using in many ways. 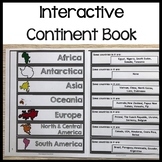 I use some for the children to sort different animals onto each continent. They would also be beautiful as wall art! Free Download! Enjoy! 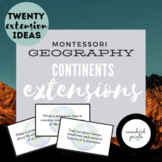 Two sets of labels (small and large) with coordinating colors to be used as an extension with the Montessori continent map. 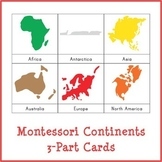 This set includes 3 part cards for the seven continents. 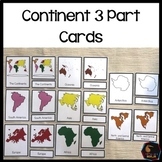 -This is a three part cards presentation about continents of the world.